Chicago-based Greenwise Organic Lawn Care has been sold to Austin Hall, a search fund entrepreneur. Marc Wise, the founder of Greenwise, announced the sale, noting Hall’s vision is to grow Greenwise to be a leader in the landscape industry. Marc will remain a key member of the Greenwise team, continuing in his role as an account manager. “I am so excited to be a part of this next chapter and see Greenwise continue to blossom under Austin’s leadership,” said Wise. Marc Wise founded Greenwise in 2007 with one truck and a mission to prove that organic lawn care works. Eleven years later, he has expanded the sales territory, grown the company to include 22 trucks and 50 employees, and successfully proven that organics without chemicals work to create beautiful, sustainable landscapes. “As difficult as it is for me to give up ownership of Greenwise, the timing seems perfect. I took this decision extremely seriously and with a lot of care. I am turning it over to Austin, who is incredibly bright and motivated and has the same entrepreneurial spirit that I do. The Greenwise mission of creating sustainable lawns through organics is as important to Austin as it is to me, and I am confident he has the business acumen to lead us as we continue to grow,” said Marc Wise. After graduating from Harvard with an MBA and working in the financial industry for several years, Austin began searching full-time for a company to acquire and operate. “I chose Greenwise for its outstanding team, its mission rooted in creating sustainable landscapes, and its strong customer relationships.  Along with Marc, I believe deeply in the importance of organic lawn care and sustainable landscapes. I also believe Greenwise’s approach to lawn care is the future of the industry. With the right people, outstanding customer service, and our team’s passion, I believe Greenwise’s potential is truly unlimited.” said Austin Hall. Hall will be a hands-on owner, operating Greenwise day to day. “I am incredibly inspired by Greenwise and know its future is bright. I look forward to growing Greenwise and making it the best it can be. The Greenwise team is committed to environmental stewardship and best-in-class client service,” said Hall. 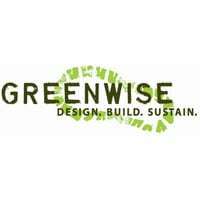 Greenwise provides organic lawn care, sustainable landscape design and installation, eco-friendly landscape maintenance, sustainable horticultural and arbor care, organic insect control, natural weed management, and eco-friendly snow removal services in the Greater Chicago area.